Landlords must work harder than ever to retain tenants in today’s highly competitive rental market or risk losing them in droves, warn many experts. There’s a growing supply of houses and apartments in many of Australia’s capitals. Brisbane has a looming apartment glut, and the city’s vacancy rate now sits at 2.7% for houses and 3.1% for units, according to the Domain Group. To compound the problem, rents are on the decline. To attract quality tenants, Andrew Staehr, director at Archers the Strata Professionals, said landlords, investors, and property professionals need to place as much emphasis on tenant retention as they do on attracting good renters. Staehr emphasised that investing the time and effort to retain good tenants could lead to impressive long-term savings. “The value of attracting – and keeping – renters who consistently pay their rent on time, cause minimal damage to the property, require little contact and commit to multiple lease cycles should not be underestimated,” he said. 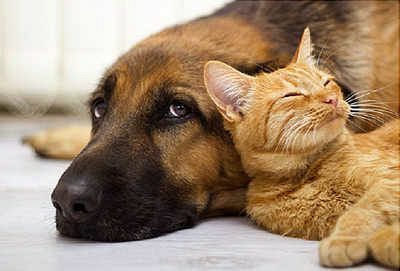 One way landlords can attract and retain good tenants is to consider allowing pets in their rental properties, said Sharon Fox-Slater, executive general manager at EBM Insurance Brokers. Fox-Slater argues that not considering pets could in fact be detrimental to the value of the investment, and may be costing landlords money. There is a high demand for pet-friendly properties in Australia. “By eliminating pet owners from your prospective tenants, your tenant pool may be just 37% of all available tenants. Two out of three tenants may not even consider your rental. Many of these are likely to be high-quality long-term tenants,” Fox-Slater said. A greater tenant pool means faster re-letting periods and lower vacancies. In fact, research indicates that pet-friendly properties receive twice as many applicants than other types of housing. Mainly due to the scarcity of pet-friendly properties, research indicates that tenants are willing to pay between 7% and 14% more for the same property. This could equate to $25 and up in additional rent. “By forbidding pets on their properties, landlords are opening themselves up to the possibility of tenants having unauthorised pets,” Fox-Slater said. These “hidden pets” aren’t named on the lease and are snuck in later on. The tenant may decide to shift the hidden pet out every time the landlord or property manager conducts an inspection. However, the tell-tale signs of pet ownership start to appear, creating headaches for the landlord and property manager. There are, of course, risks associated with allowing pets on a rental property, and damage caused by pets is a justifiable fear. “Most insurance policies won’t cover pet damage at all, and some that do require it to be a ‘named pet,’ meaning it has to be officially noted on the lease. There are also some that cover very small amounts [of damage],” Fox-Slater said. Hence, it’s important for landlords to purchase specialised landlord insurance policies that cover damage caused by pets. Fox-Slater advises landlords to get an insurance policy with generous limits. “That way, landlords will have peace of mind, knowing that damage caused by pets will be covered and paid for by the insurer,” she said.